Some of these books I bought myself, others were kindly donated by friends. But when Olly moves in next door and wants to talk to Maddy, tiny holes start to appear in the protective bubble her mother has built around her. Maddy is certainly going to fall in love with Olly. It's almost certainly going to be a disaster." I got this off a friend before I see the film... eventually. It has been on 'to read' list for a good year or so, hopefully, I'll get around the reading it before Summer is over! "Dominika Egorov, a former prima ballerina, is sucked into the heart of Putin's Russia, the country she loved, as the twists and turns of a betrayal and counter-betrayal unravel. Will Dominika be able to unmask MARBLE, or will the mission see her faith destroyed in the country she has always passionately defended?" I picked this up while on holiday because I forgot to bring a book with me. 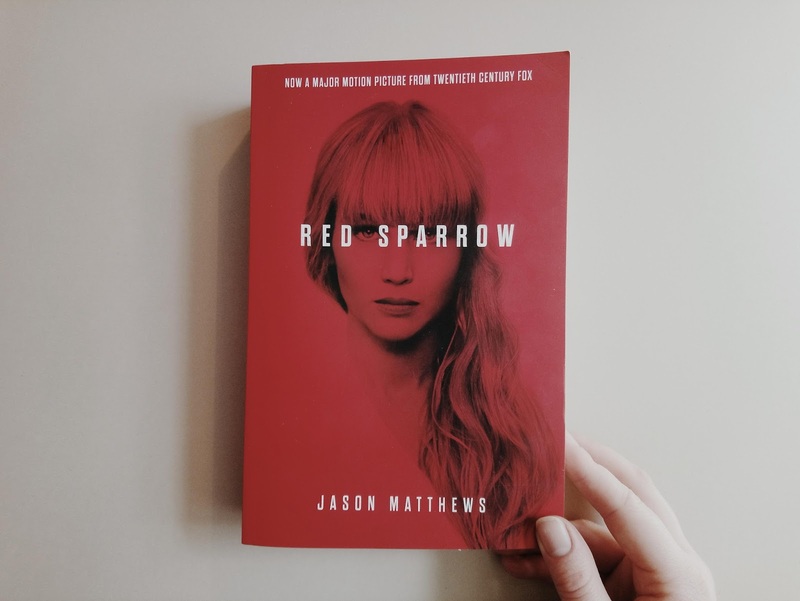 I have started reading Red Sparrow, and my initial thoughts are: you can tell it's written by a male and it's heavily descriptive based. I'm about halfway through, and it's an easy book to put down and pick up a few days later. 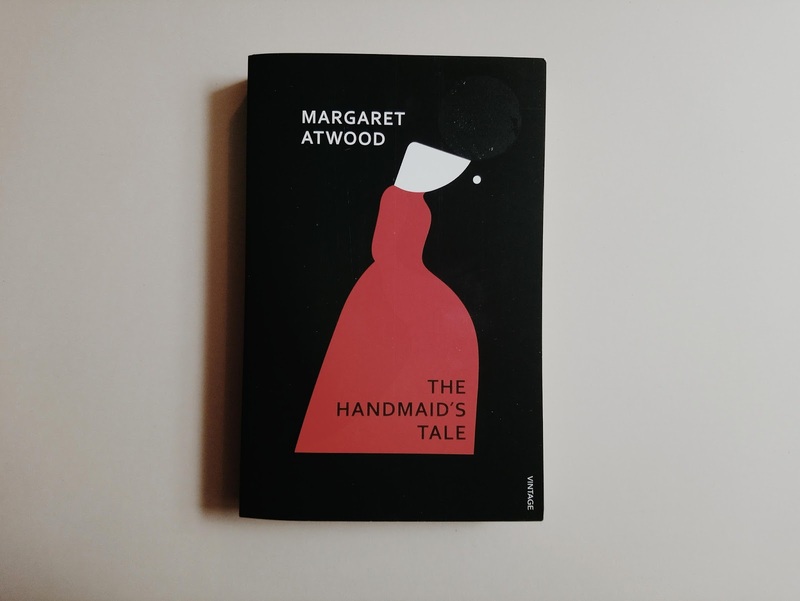 "Offred is a Handmaid in the Republic of Gilead. She may leave the home of the Commander and his wife once a day to walk to food markets whose signs are now pictures instead of words because women are no longer allowed to read. She must lie on her back once a month and pray that the Commander makes her pregnant because, in an age of declining births, Offred and the other Handmaids are valued only if their ovaries are viable. Offred can remember the days before, when she lived and made love with her husband Luke; when she played with and protected her daughter; when she had a job, the money of her own, and access to knowledge. 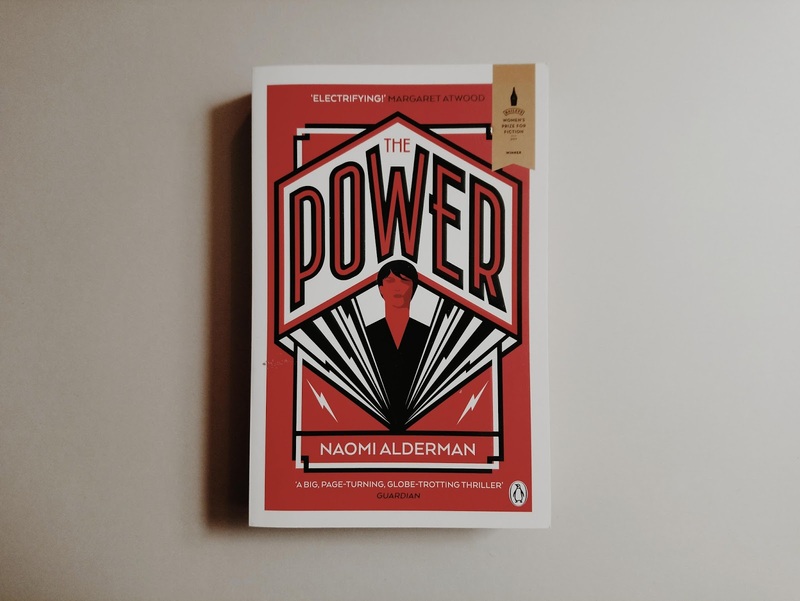 But all of that is gone now…"
I've been meaning to pick up this books for ages and after the rise of the TV show, I want to read the book before going onto the programme. "All over the world women are discovering they have the power. With a flick of the fingers, they can inflict terrible pain - even death. The Day of the Girls has arrived - but where will it end?" 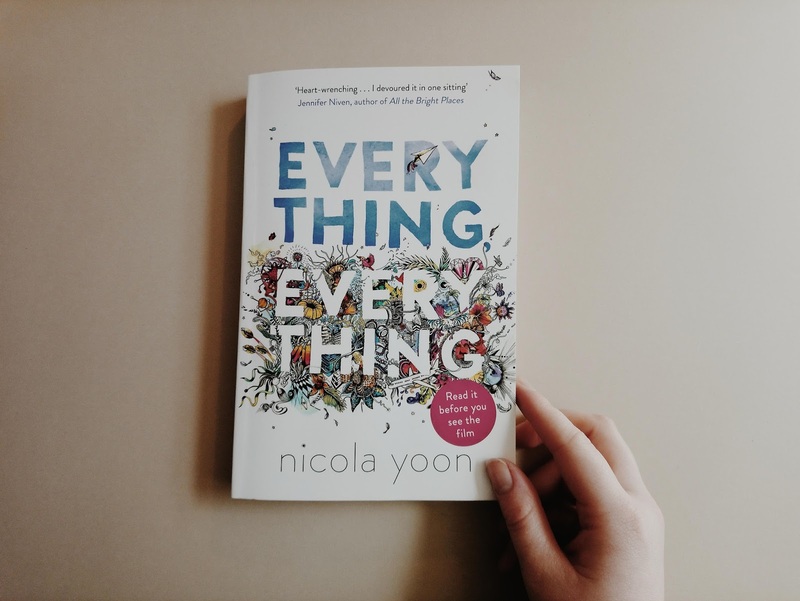 I have seen this book floating around the land of booktube and blogs for a little while now, and in a rash, a decision to 'treat myself' this book ended up in my bag and out the shop with me. 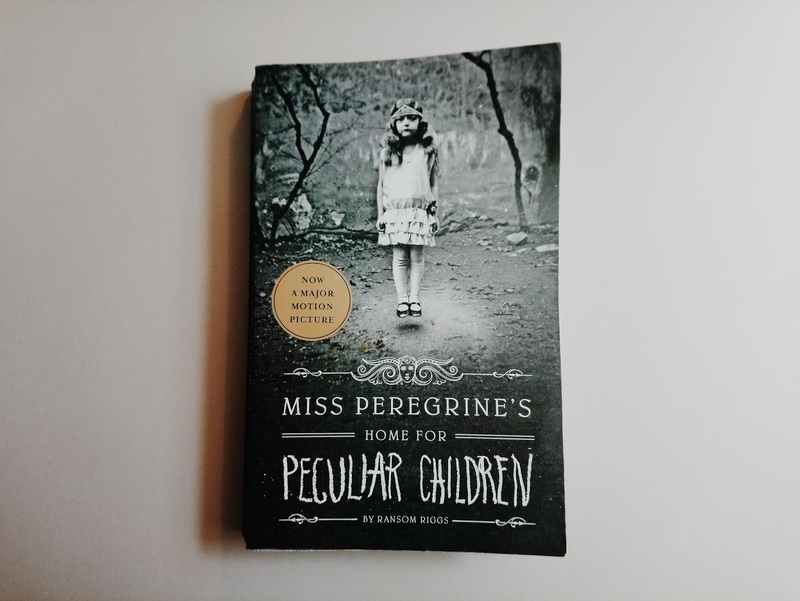 It all waits to be discovered in Miss Peregrine s Home for Peculiar Children, an unforgettable novel that mixes fiction and photography in a thrilling reading experience. As our story opens, a horrific family tragedy sets sixteen-year-old Jacob journeying to a remote island off the coast of Wales, where he discovers the crumbling ruins of Miss Peregrine s Home for Peculiar Children. As Jacob explores its abandoned bedrooms and hallways, it becomes clear that the children were more than just peculiar. They may have been dangerous. They may have been quarantined on a deserted island for good reason. And somehow impossible though it seems they may still be alive. A spine-tingling fantasy illustrated with haunting vintage photography, Miss Peregrine s Home for Peculiar Children will delight adults, teens, and anyone who relishes an adventure in the shadows." I didn't buy this book and it isn't my book. I'm not sure if I would buy this book myself, I had been interested in it though. This was loaned to me, long-term - since January because I'm so bad at reading right now. 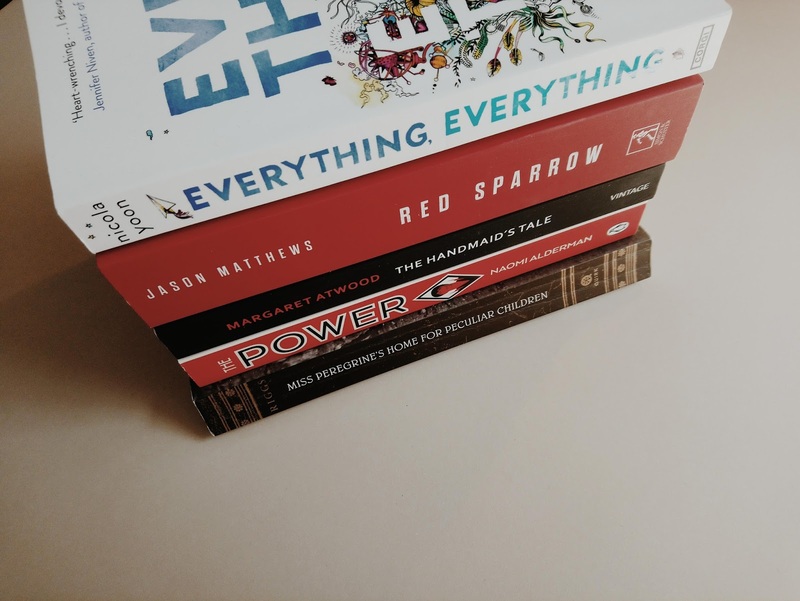 What are your most recent book purchases? Or do you have any of these on your tbr list? I know, I'm basic. Leave me be. 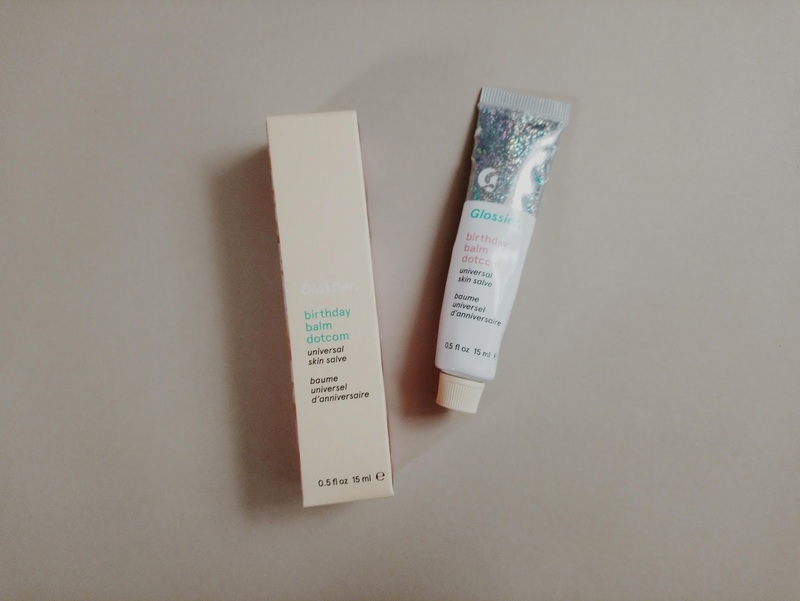 So it was my birthday and I decided birthdays are the perfect excuse to buy a £10 lip balm (BUT I HAD 20% discount on my order, so it made it a LOT more reasonable!). And the lip balm was called 'Birthday Cake'. It was meant to be. 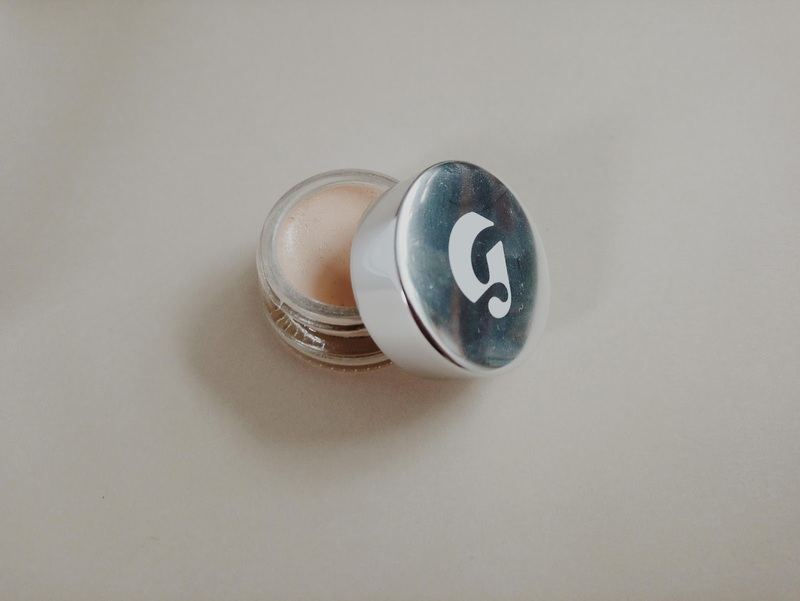 The Balm Dot Com in Birthday Cake: Lip balm is something that I cannot live without. I bloody love the stuff. 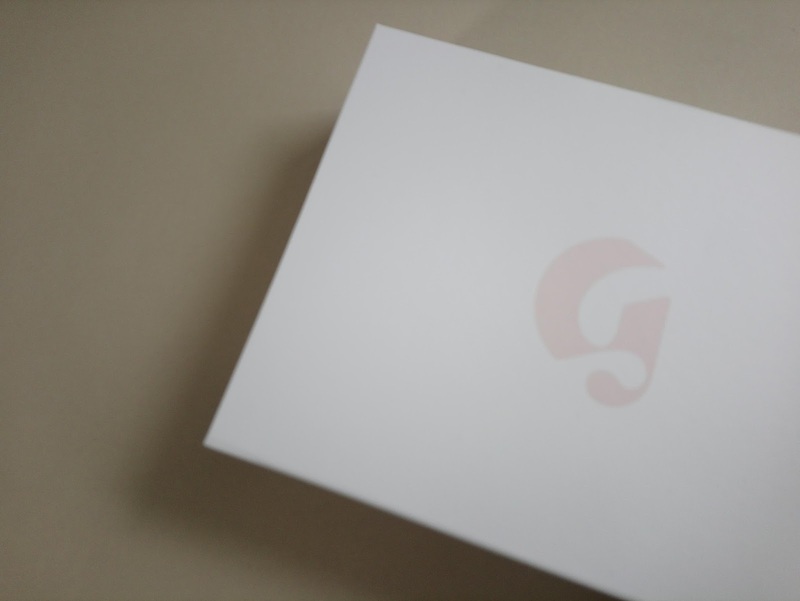 Really, for my first time trying Glossier, I should've gone for the basic one. But it was my birthday and I got a little carried away. It smells delightful, really vanilla-ery, reminds me of the vanilla share birthday cake from Tesco that always appears at children's parties. A thick consistency, although not shiny on the lips. The Birthday Cake one has a very fine amount of shimmer/glitter in it, but I don't think it's noticeable to others, just something you'll notice up close. Stretch Concealer in Light - Originally I thought this concealer was too dark for me. But it adapts to your skin colour. I use it with a beauty sponge and apply. You layer it up, or just put a light layer on. You can still see your freckles and general marks, but it covers up any light discolouration. Generation G lipstick in Crush - I'm a sucker for a sheer raspberry toned lipstick, I'm constantly choosing them. It's a nice one though, easy to apply, simple, nice colour, wears off to a light stain. Next time, I would consider Cake. Because I own a few berry colours now, and I need to mix things up a little. Boy Brow in Brown - I don't tend to use brow gels. I just run some powder through, to fill them a little, and go off on my way. 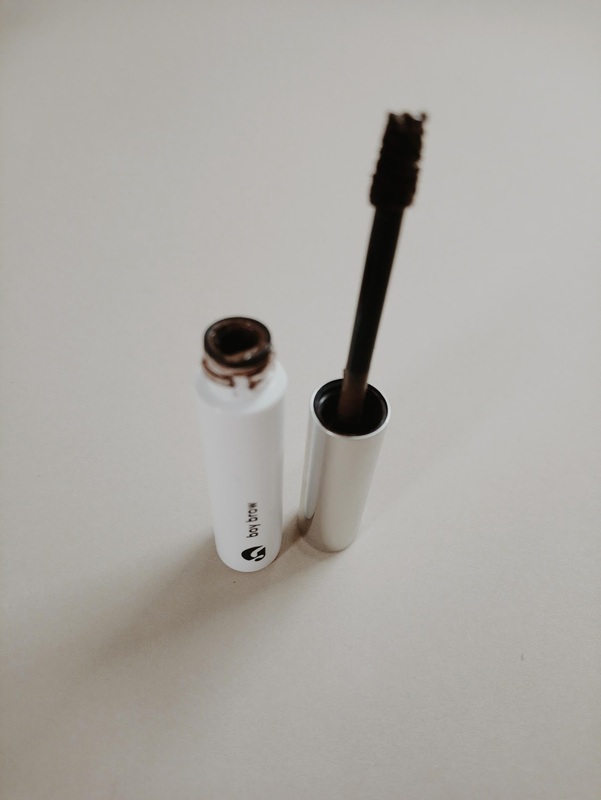 However, I've been using this by itself for a more natural brow, but it does make a big difference to wearing nothing at all. 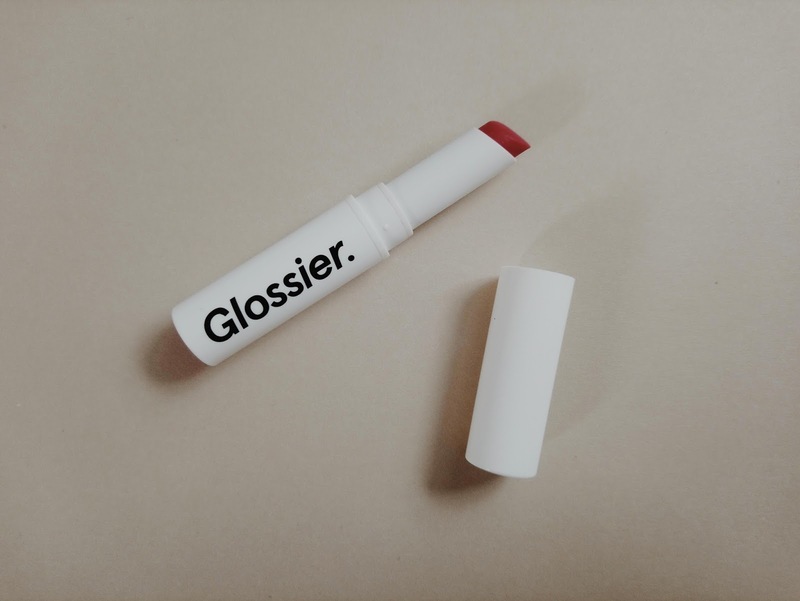 Glossier is all about natural and minimal make-up, which coming into Spring/Summer is exactly what I want. 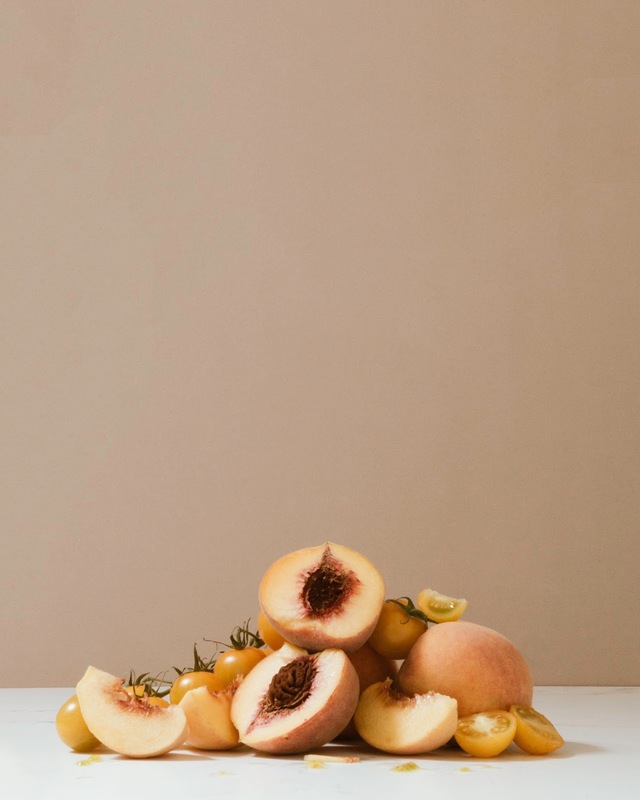 Eventually, I will stop using any foundation/concealer in the summertime, but I think the Stretch Concealer might be good for a tiny amount of coverage and evening out any pigmentation. 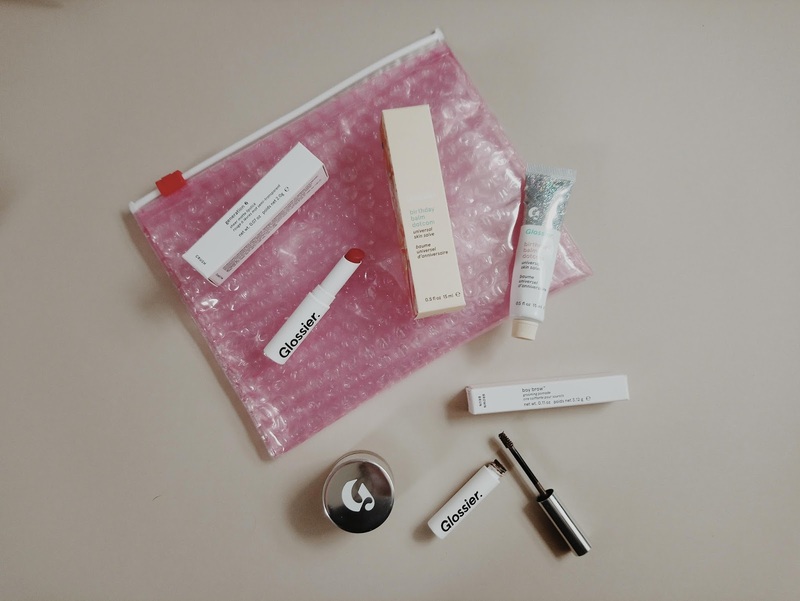 I decided that skin care wasn't something I would be interested in from Glossier, although I had done an order from The Body Shop of skincare. So I focused on the makeup and the products I'm likely to use. If I was to order again I would get: more of the balm dot com & generation g lipsticks! Don't panic. But I have three weeks left until my FINAL FINAL FINAL university deadline! PANIC. I'm equal parts terrified to finish uni and excited to finish uni. 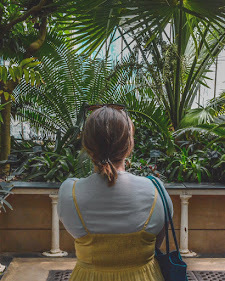 I have really struggled this year balancing an *almost* full-time job (at the time of writing this, I am the only contracted front of house member), university, and life - and I cannot wait for my time off, to be exclusively time off. My deadline is in the last week of May, then June is all about degree shows in the UK. And then, I'm done! To say I'm excited for June is an understatement - I get time-off to just be with friends and put photographs up - and I've got 10 days away in London for my final show! To help me get through these last three weeks and have something to look forward to, during this stressful three weeks. I've started creating a list of things I want to do after university is finished. (In my head I'm not an 'adult' until September/October time, so I'm treating the summer like all my other academic summers). This is a running list of things I want to achieve after university, in the short term, but what plans do you have for the summer? Or can you think of something that would be useful for me to achieve?